This year was the most successful Oktoberfest yet, both for the Town of Lovettsville and for the Lovettsville Museum. Our estimate is that we had around 600 people coming into the Museum. We were open from 7-11 pm Friday, 10 am to 10:45 pm on Saturday, and 1-4 pm on Sunday. Most museum visitors on Saturday were from the metropolitan DC area, but we also had people from many other states (PA, NY, NJ, OH, MS, NC, SC, VT, WA), as well as from Ecuador, Bolivia, Australia and South Africa. 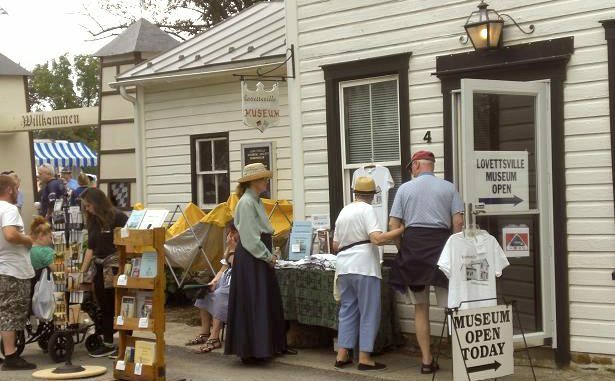 Many visitors were amazed that a small town has such a museum — this includes many Lovettsvillians who didn’t know that the Museum existed. “Cool” is the most common adjective used to describe the Museum.